Singor, S.N, Grzelak, L.A, van Bragt, D.D.B, & Oosterlee, C.W. (2013). 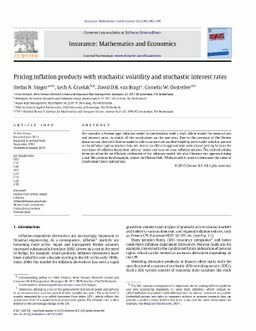 Pricing inflation products with stochastic volatility and stochastic interest rates. Insurance - Mathematics and Economics, 52, 286–299.